Windows Server 2019 Remote Desktop Service (RDS-2019): (formerly known as Terminal Services) - enables users to access session-based desktops, virtual machine-based desktops, or applications in the data center from both within a corporate network and from the Internet. Each user or device accessing a licensed Windows Server requires a Windows Server CAL or a Windows Server and a Remote Desktop Services (RDS) CAL. When a user or a device connects to an RD Session Host server, the RD Session Host server determines if an RDS CAL is needed. The RD Session Host server then requests an RDS CAL from the Remote Desktop license server. If an appropriate RDS CAL is available from a license server, the RDS CAL is issued to the client, and the client is able to connect to the RD Session Host server and from there to the desktop or apps they're trying to use. RDS 2019 will give customers the opportunity to leverage fantastic enhancements that make it the optimal version of RDS, to date, with several areas of innovation to improve the administrative and client experiences. We brought innovation centered around three areas in RDS 2019 – Simplify IT management, User experience, and Improved security. Read Me: It is digital & retail version of Windows Server 2019 Remote Desktop Services (50/100 User/Device) CALs (5x5 license key) for your Remote Desktop license server activation, to allow the license server to issue Remote Desktop Services client access licenses to your user/device. No additional software required or included. After receiving your payment we will issue a brand new RDS CAL (5x5 license key) and will be sent by a simple text mail to your payment email id and it (5x5 license) will be added on PayPal shipping zone as your tracking number too. Please read our and Microsoft terms & condition before your order: Sales T&C. Warning - If you are not experienced or IT professional with basic knowledge about Windows Server RDS licensing, please don't buy from us. Because no refund option available (after issuing a CAL license from the Microsoft licensing server, there is no way to return). Please be sure & serious on the business. You are paying for a 5x5 license key (retail version) to active 50-user/device on your rds licensing server and we guarantee about the product license will be 100% brand new & genuine and can be use on any business deal too. If you are a professional, simply skip this warning and order now, we are ready to serve as promised as written. Thanks. We have time and again heard from customers that license management should focus on simplification to scale deployments. Over the past few years, we have focused on improving management of Remote Desktop (RD) Licensing servers and entitlement through Active Directory (AD). Now, you will be able to leverage high availability RD Licensing servers with forward-compatibility for future versions of Windows Server to enable easier management of licenses from a variety of RDS releases. We have also made it easier to manage licenses for your employees by bringing the ability for the RD Licensing servers to update RDS user Client Access Licenses (CALs) into AD objects without accessing AD directly. Lastly, we added perfmon (Performance Counters) APIs to provide partners an easy way to access data to build monitoring dashboards and deliver a consistent user experience. We have also invested in providing an enhanced user experience where end users will be able to leverage desktops and apps through RDS 2019 to maximize productivity. 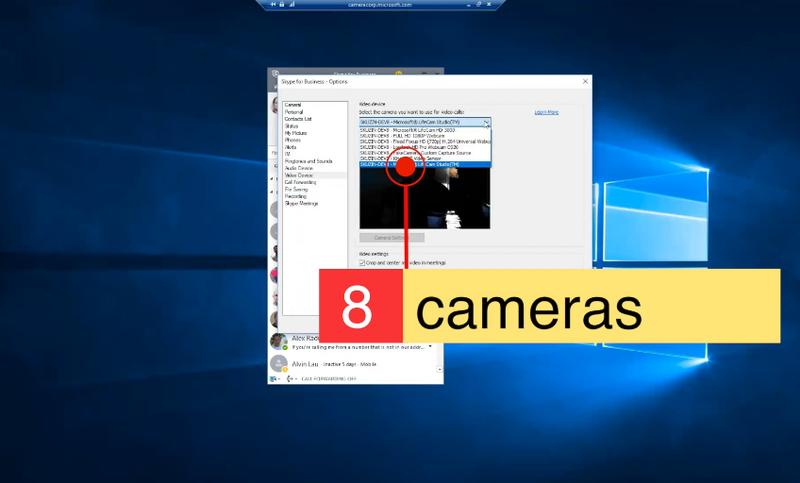 To start, we have added modern notifications for RemoteApp in the Action Center to improve productivity with applications like Microsoft Outlook. We have improved upon innovations in Discrete Device Assignment in RDS 2016 to bring better security, virtual machine (VM) isolation, and performance for your graphic-intensive workloads. These improvements in GPU virtualization technologies will result in reduced network traffic and smooth video playback. In addition to the GPU virtualization technology, we added high-level redirection of built-in or attached video cameras to deliver optimized video stream at higher frame rates in new and legacy remote applications and desktops. Users can now have a better experience with video-intensive interactions. Lastly, we have reduced CPU usage on the client and server and bandwidth with better image quality to bring a faster end-to-end web client experience. One of our primary goals as the Remote Desktop Services product team is to help improve your security posture for your desktop and app virtualization environments. We have improved security through several enhancements. We have brought several Windows Defender optimizations for multi-session to give you more confidence in bringing a secure, scalable and cost-effective desktop experience to end users. We also added web client support for Single Sign-on (SSO) to deliver a streamlined authentication experience for users connecting via the web client. We recognize that giving you the ability and making it easier to deploy RDS on Azure gives you a lot of flexibility, scalability, security and several other advantages of Azure. To improve flexibility and ease of cloud adoption, we also support hybrid deployments where the infrastructure roles can be in Azure while the host Virtual Machines (VMs) can be on-premises. Key enhancements for deploying RDS 2019 on Azure include using Azure Key Vault for simplified certificate management and using Azure SQL DB for the RD licensing high-availability feature. Lastly, later in October we will announce the availability of Remote Desktop Services (RDS) subscriptions through the Cloud Solution Provider (CSP) program. The availability of RDS in CSP addresses customer needs for additional cost-effective solutions that support desktop and app virtualization. With RDS Subscriptions, partners can directly sell RDS subscriptions through our CSP program, eliminating the extra step of customers and partners acquiring different licenses through various programs. With this model, customers can enjoy a faster licensing cycle due to CSP integration with other Microsoft licenses including Windows Server, SQL Server, and Office to make it easy for partners to simplify the buying process. For more technical information on RDS 2019, please refer to the RDS documentation page. Download Windows Server 2019 that includes RDS 2019 now. Q: When will I be able to download the final version of Windows Server 2019? A: Windows Server 2019 that includes RDS 2019 became generally available on October 2, 2018. It is available for evaluation and download through Volume Licensing Service Center (VLSC). 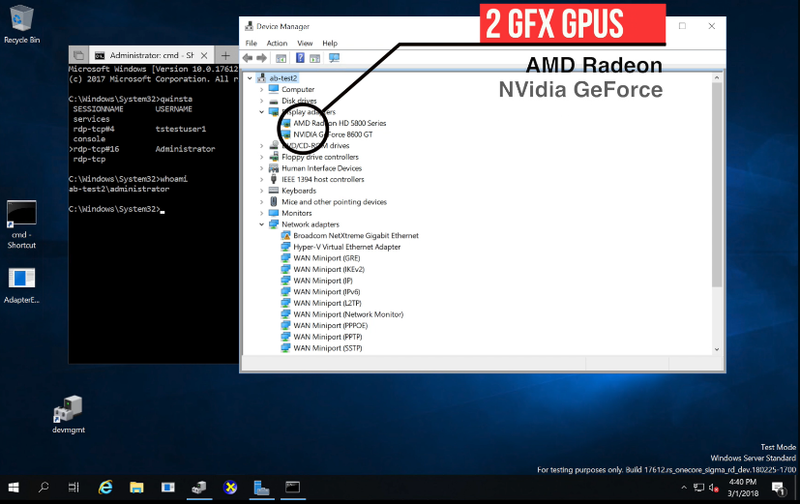 Q: Is Remote Desktop Server included in Windows Server 2019? A: Yes. Remote Desktop Server 2019 will be a server role in Windows Server 2019. Q: How do we view this announcement with Windows Virtual Desktop announcement at Ignite? A: This is the most up-to-date version of RDS to enable running the latest on-premises multi-session virtualization available with Windows Server. Windows Virtual Desktop is a desktop and application virtualization service on Azure. Read the blog post Microsoft 365 adds modern desktop on Azure for more information. Q: How is RDS on Azure different from Windows Virtual Desktop? A: RDS is the ideal on-premises desktop and application virtualization solution, with a Windows Server operating system to provide a multi-session desktop experience. When deployed on Azure, you can scale your deployment and manage RD infrastructure roles in your own subscription. Windows Virtual Desktop enables customers to deliver a brand-new multi-session capability with a full Windows 10 experience, with the scale and flexibility of Azure. With this new service, Microsoft manages the infrastructure roles. Windows Virtual Desktop will be available for public preview later this calendar year. For more information, please visit the product page. Q: Will there be a path to go from RDS to Windows Virtual Desktop? A: Yes, we are developing Azure documentation guidance for this migration path as Windows Virtual Desktop gets closer to public preview later in calendar year 2018. On the left side of the window, click Remote Desktop Services, and then click Servers, select the server RDCB1, and then click RD Licensing Manager. Right-click the license server RDCB1, and then click Install Licenses. To verify the functionality of the deployment, use Remote Desktop Connection (RDC) to connect to the remote host. The use of the license will be verified on the Remote Desktop license server.